let’s get those lumps checked out! Until the end of November we are offering a special package. For $99 your pet will receive a full consultation, a Fine Needle Aspirate of the lump and in-house examination of the cells (valued at $137). This will give us the answer 50% of the time. And during October & November we are also trialling a new Map, Measure and Monitor form. 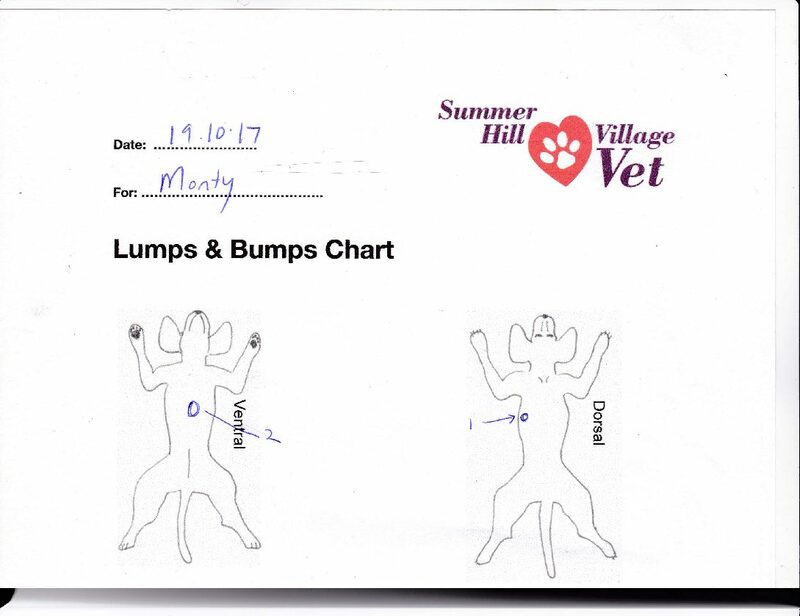 With any consultation we will help you chart where and how big any lumps are so we can investigate them as needed and monitor them in the future even if they seem to be harmless. We will also do a free one-month recheck to monitor them.